Saying YES to your players and rewarding good ideas. So you have spent hours writing content for your next adventure. You have created maps, encounters, NPCs and have all the trappings of a great adventure. You are getting excited at the prospect of your players working their way through your scenario and you have imagined in your head how each encounter will go. Play starts and after a few hours the players approach the huge steel reinforced door to the inner sanctum. Now you know the party thief has a decent lock picking skill so if he rolls a Nine of Higher on a Twenty sided dice (better than average chance), he will succeed in picking the lock and the party will be set for the final confrontation with lord Yarnspinner (or whatever the hell your NPCs name is). He rolls and …..its a THREE!!! well now what? “We try to break down the door!” says the Barbarian. Well in your description of the STEEL reinforced door, you told them it looks like it was built to withstand the mightiest of battering rams so you tell them “You can try but you feel like it may be a futile effort.” They roll any way… a Nineteen. With the barbarians strength and miscellaneous modifiers that’s a twenty five. Sadly you already knew there was no chance of succeed. Maybe on a natural twenty they may have put a dent in it. So now here the party sits pondering how to get through the door. Their IS no other way in, you made sure of that, so now what? This is where YOU the Dungeon Master are at fault. You wrote in a single method for the adventure to continue and made it reliant on a single dice roll. Firstly don’t do that. You should always have a back up plan. Remember its no fun for anyone if the adventure fails due to a single skill roll or missed subtle clue. Unfortunately you DID make it dependent on that pick lock test (shame on you) so how can we resolve it. Lets put ourselves in the players shoes for a minute. A player says “I scout around the side of the building and search for any hidden entrance or exits.” He rolls the dice and gets an eighteen. With his search skill its a total of twenty eight. 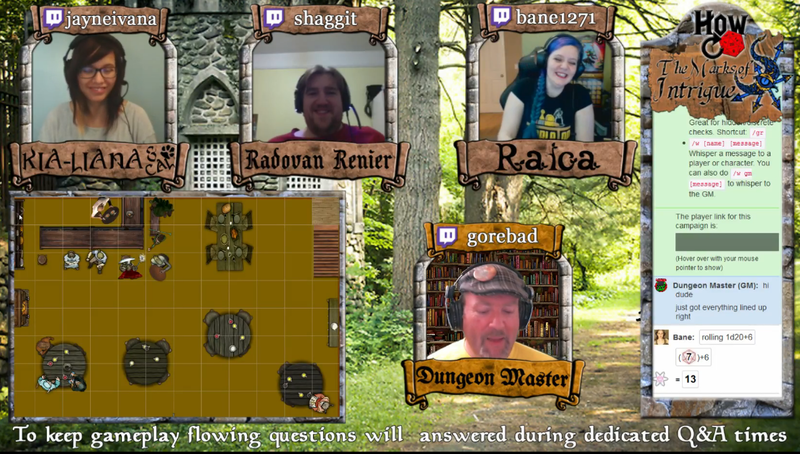 The Dungeon Master says “No sorry there are no secret doors.” He didn’t put one on the map or write it into the adventure so their is not one to be found. Well this is where The Dungeon Master needs to consider saying YES. While you may not have written a secret door into your adventure, the players just gave you a way to allow the flow of the game to continue and avoid twenty plus minutes of futile attempts and player frustration. In this case it would be smart to decide perhaps their IS a secret door, and as the players rolled so well allow them to find it. The players will be happy and excited, and will think that (being the great Dungeon Master that you are) you were smart enough to include that hidden entrance in your encounter (they need not know of your failure). This is one example of saying YES to your players. Often your players will ask to do things that you did not plan for or have even considered the outcome of. You can not possibly determine every single eventuality ahead of time so you (like all great Dungeon Masters) will have to rely of your ability to improvise. 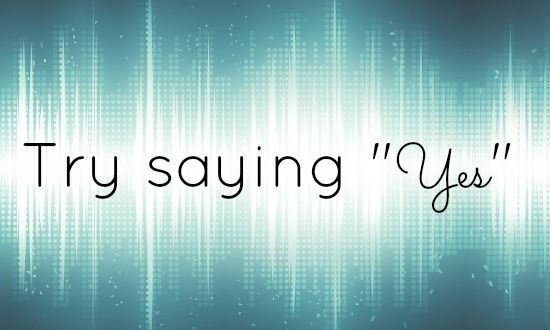 If a players asks to do something you should ask yourself a few questions. If you answered No to all three of these questions then let the player do what he wanted to do, or grant him success in his action. Players are happy when things they do go well. Decent players of course expect failure and embrace them, but when an idea they had is rewarded with a positive outcome it will encourage more creative thinking in the future. 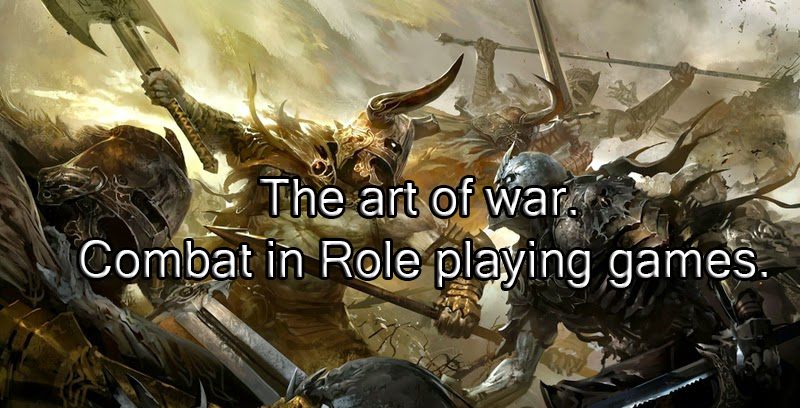 Even If a good idea fails due to a bad dice roll, (on Howreroll this happens all the time), allowing some margin of minor success is a good way to encourage that kind of play from your players. I will give you an example of how to reward a good idea even when the dice roll goes bad. So even though the dice roll dictated the action was a failure, I allowed some level of success to come from it to reward the good idea. The cleric gained an attack of opportunity, and as such the rouge didn’t feel robbed by the bad dice roll. In general it is never a bad idea for the Dungeon Master to allow players to have success in their actions. Even if it is minor. Of course you also get to enjoy the great failures too, but I tend to reserve those for more standard moments or even IF I am going to make an action fail hard, sometimes I still sneak in a little margin of success. Are they rules or guidelines? One of the many questions I get asked frequently is “What edition of D and D do you prefer, and what rules set do you like the most?” In truth I do not have a favorite edition, although most of my best memories came from AD&D and 2nd edition. 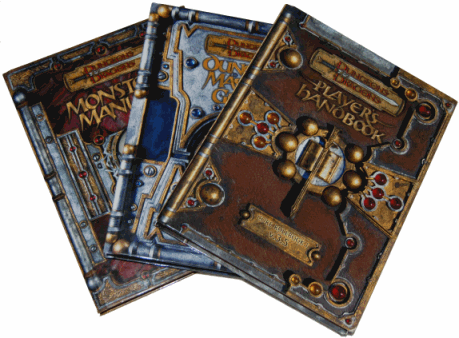 To answer this question, the first thing I want to point out and remind every Dungeon Master and player alike is that while the Dungeon Masters guide and Players handbook are full of “rules”, they shouldn’t be taken as being set in stone, or adhered too regardless of circumstance. One of the first things a Dungeon Master needs to understand is when to break or modify any rule he or she is presented with in one of the daunting manuals that our beloved game presents us with. I don’t know any “good” DM that has not converted, created their own Home brew variants or darn right ignored many of the “rules” that come with each and every edition. One of the things I am quoted as saying is “these are not a set of rules, more a set of game mechanics that you use to tell the story you want to tell and play the game you want to play“. I learned long ago that the enjoyment of playing for both DM and players alike is derived by a good flowing game and a great story, and not by arguing over rule semantics. In fact just about all of my bad gaming memories are a result of players stressing over or arguing about rules. I tend to take certain types of mechanics as I find them, such as spell durations, weapon damage etc etc but tend to attack and modify any rule that I feel either offers a high chance of being abused, or feels just plain wrong. Due to this, which edition I tend to run or choose is dependent on the story I want to tell in my campaign. I make my choices based on a few factors. Are my players familiar with it or are they new players? What style of campaign is it? (fast paced action, intrigue, political etc). Which editions rules set do I need to modify the least to fit the campaign story? Do I own the materials I need or will I need to purchase something new? For example. Currently on Howreroll we are playing 3.5ed Home Brewed. When we started the players were all fairly new to D and D so I wanted a system that was fairly easy to learn quickly, and get to grips with, so that rules out AD&D and 2nd edition in my mind (#THAC0). I wanted to run an intriguing and tension rich campaign and not a hack and slash, so while 5th would be easier for them to pick up, I would have been modifying the rules a fair bit, especially the healing and rest mechanics, so I passed on 5th. 4th edition was just not well received by me (not getting into the reasons whys here) so that left 3rd or 3.5 edition. Now without starting the debate of well you could still run that type of game with 5th etc etc, and I agree I could, I didn’t want too as 3.5 was easier for me to modify for my campaign. I have so many house rules or home brew variants for each edition its scary, and I have some that I alter based on the campaign world or story. I take the well written manuals that come with each edition and read them cover to cover, and then I tend to ponder individual rules and ask myself how I see that playing out in my campaigns. I look at aspects such as the magic system and decide if it fits and if not, I justify to myself, why not? One campaign I ran was set in a world where magic was rare and difficult to obtain and to use. In this campaign I was stringent on material components being used for every spell cast, and I imposed a rule that linked spell casting directly to constitution, to demonstrate the drain on the casters physical state. Each time a spell was cast your constitution was drained a number of points equal to half the spell level rounded up. A constitution point was regained per hour naturally or for every fifteen minutes of meditation. This lead to a totally different use of magic in the campaign by the players and the NPCs, and a very healthy respect for spell use and timing. I also modified several of the spells to better fit this type of system. To me any “rule” has always been nothing more than a game mechanic to use or modify as you see fit.